Mohenjo Daro Collection 6th / 7th Day and Wednesday / Thursday / 1st Week Box Office earnings report – Mohenjo Daro Collection : filmMohenjo Daro movie of Hrithik Roshan collected plenty of positive response even before its official release on box office. The script didn’t have many twists and turns and quite less sophisticated, while the plot is also not good in depth. Since the competition was utter high in the box office, there were possible expectations that Rustom is going to work well in the box office, leaving Mohenjo Daro behind. The last week was full of the clash and unprecedented situations. Both the films featured top Bollywood star. Both the films didn’t have any popular film actress. The conditions were almost tough and same for both of them. Rustom was somehow blessed with Akshay Kumar’s growing popularity. Hrithik’s last film Bang Bang with Katrina Kaif was good and earned Rs 188 cr in India. However, the weekend went almost good for all movies. Hrithik had already shared his concerns regard movies’ success with Akshay Kumar in a conversation on Twitter. Mohenjo daro was released on over 2600 screens throughout the country. Out of which the distribution was almost equal among the single screens and multiplexes/ PVRs. Ironies also happened as Mohenjo Daro collection was expected to perform good in multiplexes and urban areas but the response from rural areas and single screens were better. This proved that one couldn’t simply guess what is going to happen next in Bollywood. 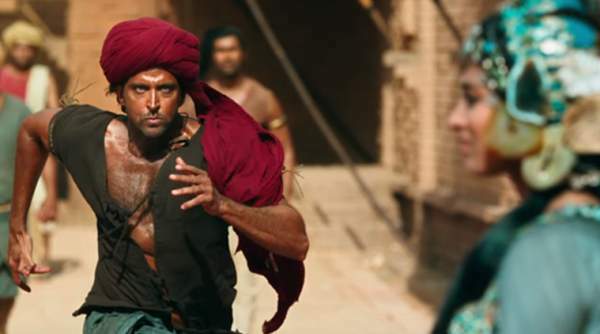 Mohenjo Daro opened great on the box office with some hopes that it won’t amount to be a flop. Despite release on 2600 screens around the country, the film somehow managed to get 8.87 crore rupees as its first day box office collections. The occupancy during the first day was moderate being a working day. But the response from the international audience was good. During the first day, occupancy remains in the mark of 30-40% during the entire time frame. Mohenjo Daro collection remains ahead during the whole day, next day. The response was little poor from urban areas, but good occupancy was observed in Rajasthan and Uttar Pradesh. Film earned 9.60 crore rupees net. As its 2nd day box office collection. The growth was marginal but a sign that film is not going to be a flop, at least on box office. Sunday was a judgemental day for the film being a hit or not. It was said that fickle should sustain itself to 30 crore rupees weekend total to not to be a flop movie. Hrithik fan following got an opportunity to prove them and film collected 12.07 crore rupees on Sunday. The 3 days weekend total of Mohanjo Daro stands at 30.54 crore rupees which are great. Monday was a holiday of independence day and important day for the film. The day is going to decide the very fortune of the movie released last week. Similar to Rustom, a downfall was observed as the film goes down by more than 10% on Monday. As its 4th day collection, the movie earned 10.36 crore rupees from around the country. During the 5th day, the earnings dropped with a big gap. More than 50% drop on the weekday is not good for any Bollywood film. As fickle fell 75% earning only 3.10 crore rupees net figure, It would be hard to say how much time it can be on screen. On the 6th day, Wednesday, the response was quite similar. The movie earned 3 crore rupees figure as its 6th day collection. Till now Mohenjo Daro collection stands at 47 crore rupees which are expected to give producers a figure of 60 crores by the end of this month. The reports from the overseas market were good as the movie was successful in earning an amount of 20 crore rupees. If u see rubbish movies. U will get housefull only. Plz start watching good films. What ur future generations will say. That the hundred crore club had movies like housefull n chennai express. Utter rubbish…..
Mohenjo Daro is a movie for history lovers who are more connected with the past .It is more popular among college degree holder .Rustom more popular among the younger generation then the baby boomers who witness the story in sixtees.You cant compare one to another.Rustom may have better collection at the box office due to very large young Indians .Mohenjo Daro may pick up as the time pass by and if there is no other competitive movie released.IT so happened with Lagaan and Jodha Akbar. Actually 4th class critics nd bollywood dsnt deserve dis typ of movie thy lyk south movies remake n all nonsense movies. M D is a good movie. Scenes of Hrithik is very good 100% action. The difference is the Hrithik is a Hollywood like Hero. The public are not accepting their hearts to see him as illiterate villager. That is the comeback of the film. Heroine also new one. This movie Mohenjo-daro I’ve seen four time this is very special movie and classical and very high standard movie .these days mostly movies are fake modern CGI movies are showing. I watch two time movies Restom. Movie Rustom is very ordinary and common movie. Mohenjo-daro movie for the long run this movie is life achievement movie . Movie Mohenjo-daro is showing very raw material and very raw action by acter Hrithik roshan. I love mohenjo daro very much. Very good film. Please see in theatres.